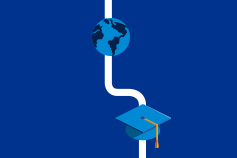 Careers for graduates: learn about Shared Services & Outsourcing Advisory services. The Shared Services & Outsourcing Advisory (SSOA) group helps clients make informed decisions about centralising functions through setting up a shared service centre. Shared services can be through an internal captive centre (run by the company) or through establishing an outsourcing relationship with a service provider. Typical functions performed through shared services are Information technology, finance, human resources, call centres, procurement, etc. KPMG helps companies with developing shared services strategies; designing a service delivery model which suits our client’s business and culture; implementing the model and post implementation monitoring, refinement and ongoing support. Our team works with both national and international clients. The team is made up of a variety of seasoned sourcing professionals, we also have training mechanisms in place to assist our more junior members reach those levels too. Our staff are located in Melbourne, Sydney, Canberra, and Brisbane. We also have an international flavour with a good proportion of our staff moving from overseas. Working in the SSOA group, you’ll leverage our global sourcing methodology to deliver a suite of services. This could include providing advice on sourcing strategies, analysing an organisation’s existing cost structure, assisting clients with location assessments, supporting clients with contract negotiations and the selection of service providers. A big part of what we do involves research into current trends and analysis of the service provider market to recommend best fit for our customers. KPMG supports the process to build the Request for Proposal (RFP), assess service provider capabilities, construct a business case and manage the overall selection process. You will meet several clients and provide valuable support proposals across existing projects. Through this, you’ll develop your consulting skills, striving to align client’s needs with KPMG services. How large government and corporate entities operate and how change is actioned within the business. Project, change management and communications fundamentals. How to understand and analyse our client’s service delivery model options, sourcing opportunities, and available sourcing strategies, and translate this into a roadmap that sets the course for their sourcing journey. How to build an opportunity case which captures both quantitative and qualitative information. This includes identifying process improvement opportunities, designing the outsourcing, offshoring, in-housing or shared service solution, and engaging with the market. How to complete process diagnostics, renegotiate arrangements, review contracts, measure satisfaction, and identify opportunities for improvement. How to perform an overall 'Health Check' on the current operating model. Identifying a governance structure to manage shared services. How to implement a shared services delivery model. How to assist a client better manage their sourcing arrangement and drive greater value, through our knowledge, training, education, peer networks, and research. You will get tremendous exposure to a variety of clients in multiple industries. You’ll get to work with KPMG professionals at all levels and perform a variety of functions within our projects. The KPMG leadership team works to mentor you and continually provide guidance throughout your career. We meet in our teams at least once a month to stay connected. We also have an annual conference and are connected to KPMG’s Shared Services & Outsourcing Centre of Excellence (CoE). We often have speakers from around the globe, visit and speak to our team, from either client site or KPMG. Our team understands and values graduates, because a successful consulting practice leverages all levels of resources. You’ll play an important role and the leadership invests time and effort into supporting your successful career in consulting. We work with clients to strategise and transition to appropriate service delivery models.